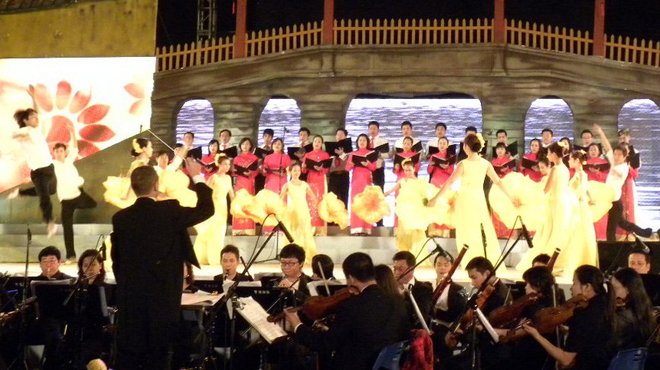 HOI AN (VNS) — The fourth Viet Nam International Choir Competition will be organised in the ancient city from April 29 to May 3, according to the city's sport and culture centre. The competition, organised by Interkultur and Hoi An in 2011 and 2013, will bring together 1,500 artists belonging to 45 troupes from 15 countries across the world. The opening ceremony will take place at the Hoi An Theatre on April 29, while official events will be held at Hoi An Beach Resort from morning to midnight. The competition also includes non-competitive performances, individual coaching and friendly concerts. A public performance, International Melody, will be held on the streets of Hoi An and in the Old Quarter on April 30 and May 1, respectively. The organising committee will present awards on May 3. Troupes will also take part in the Moon Festival on the night of the full moon with a choir parade in the Old Quarter.